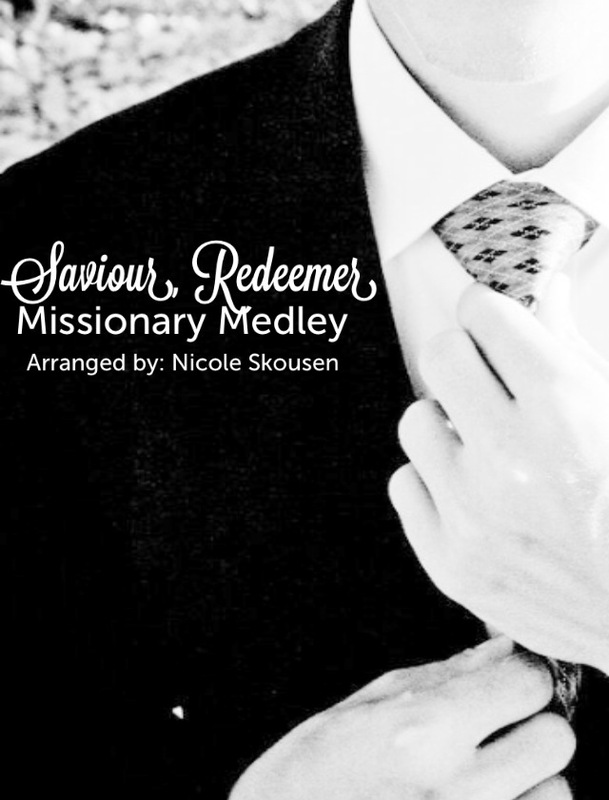 The sheet music to the Saviour Redeemer Missionary Medley arranged by Nicole Skousen is NOW AVAILABLE! To purchase the sheet music with the mp3 song and the accompaniment track downloads included, click HERE. To purchase the sheet music and the mp3 track, click HERE. And to purchase just the sheet music by itself, click HERE.